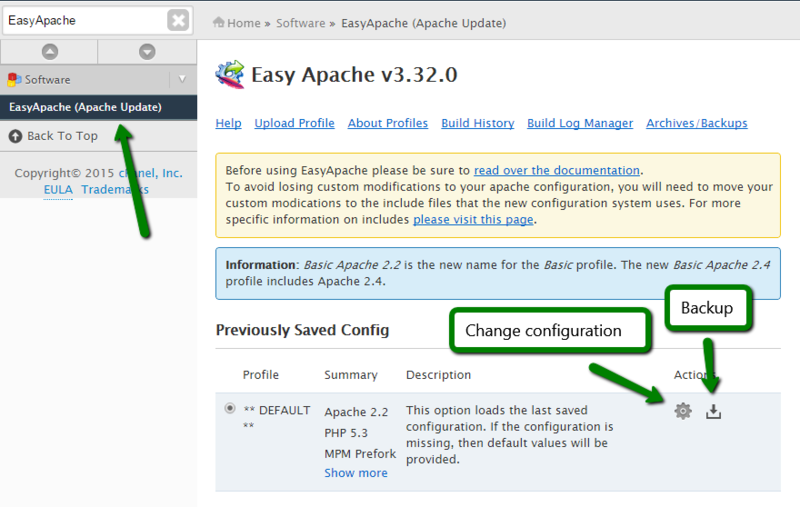 You can change the PHP version on the server using the EasyApache (Apache Update) module located in the WHM left-hand menu. NOTE: If you have a VPS or Dedicated server with the Complete management, contact our technicians for assistance with the PHP version update. 4. 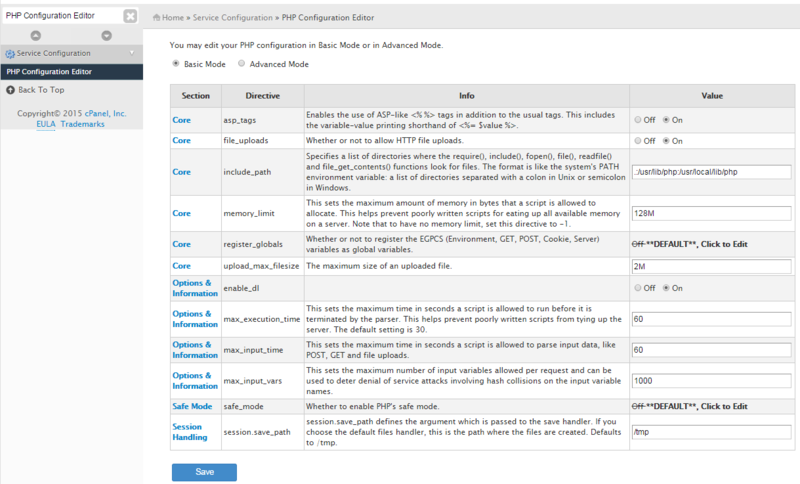 Finally, you can select additional web server modules which should be added to the web server configuration. NOTE: Do not interrupt the process as you will have to start from the beginning meanwhile your websites could have gone offline because of the unfinished configuration. 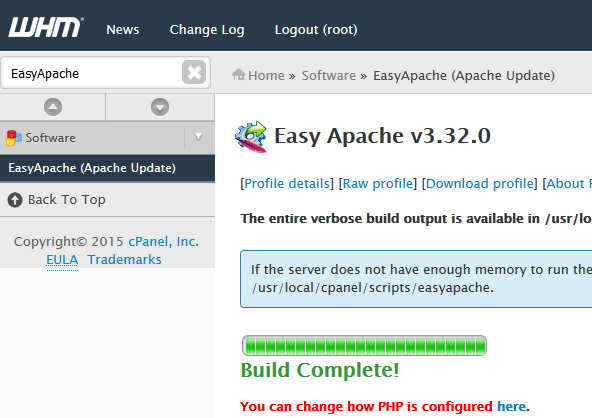 That’s all, your server is now running with the PHP environment version of your choosing. NOTE: If you have a VPS or Dedicated server with the Complete management, please contact our technicians for assistance with the configuration change. 2. 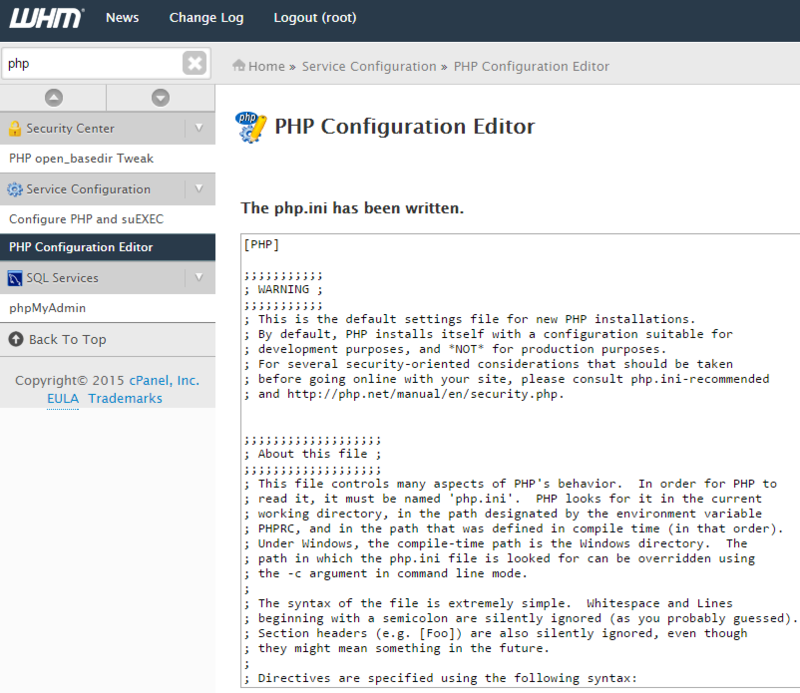 Alternatively, you can edit the php.ini file directly via SSH as a root user (only for User-Responsible VPS and Dedicated servers). 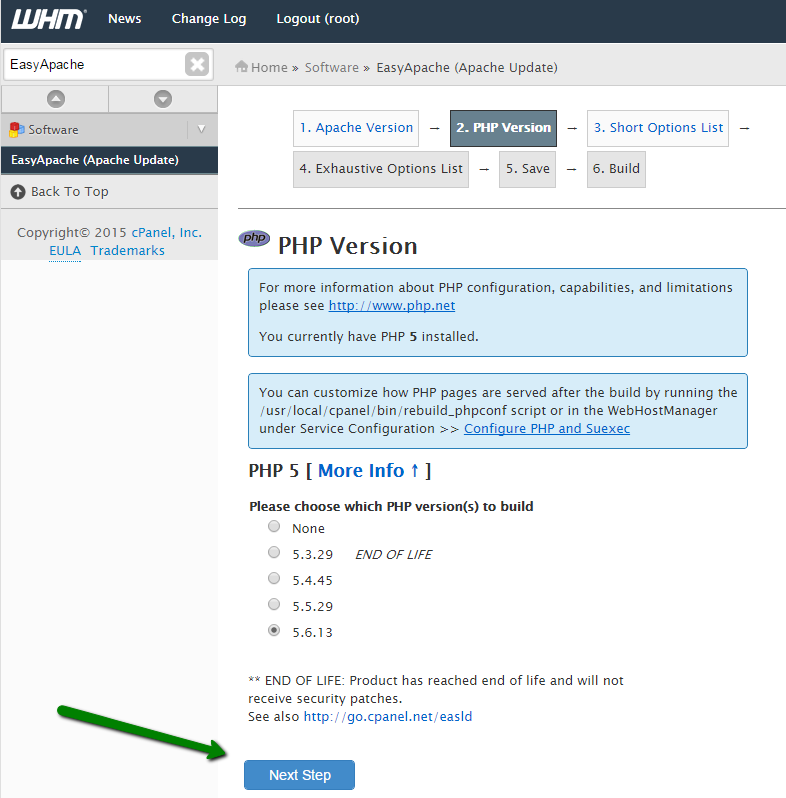 If you require some specific PHP extension which is not included into the default PHP configuration, follow these steps to install it. NOTE: If you have a VPS or Dedicated server with the Complete management, please contact our technicians for assistance with custom modules installation. 1. Log in via SSH to your server as a root user. 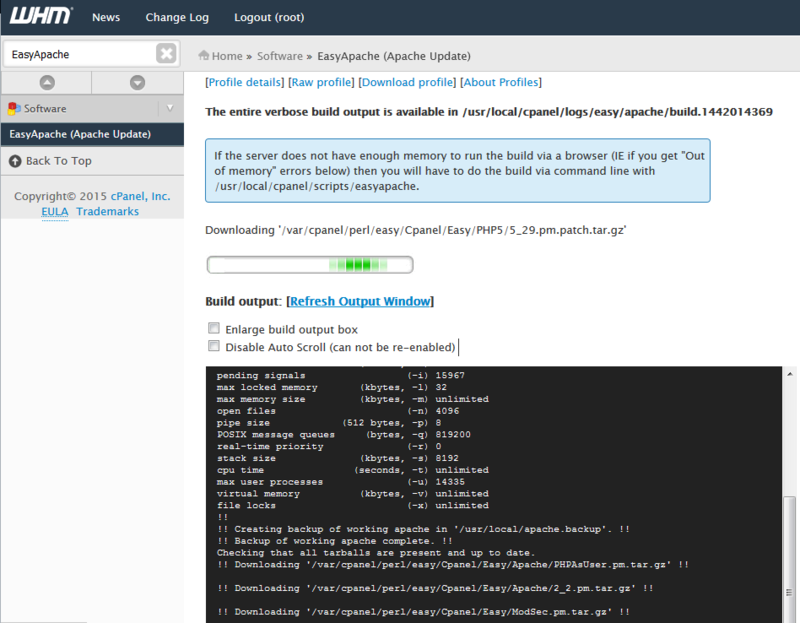 You should see the Build process completed successfully message in the end meaning that the process is completed. 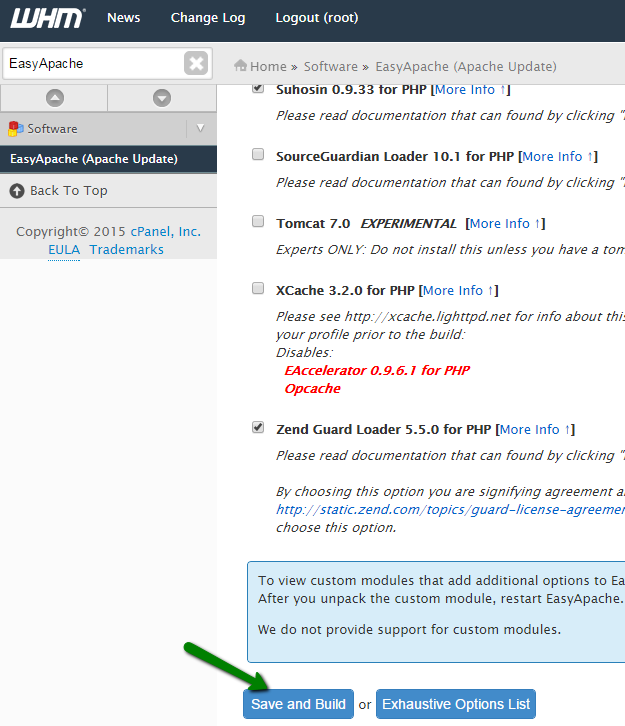 If some extension is not available for installation using this method, you should refer to its official documentation for installation guidelines. 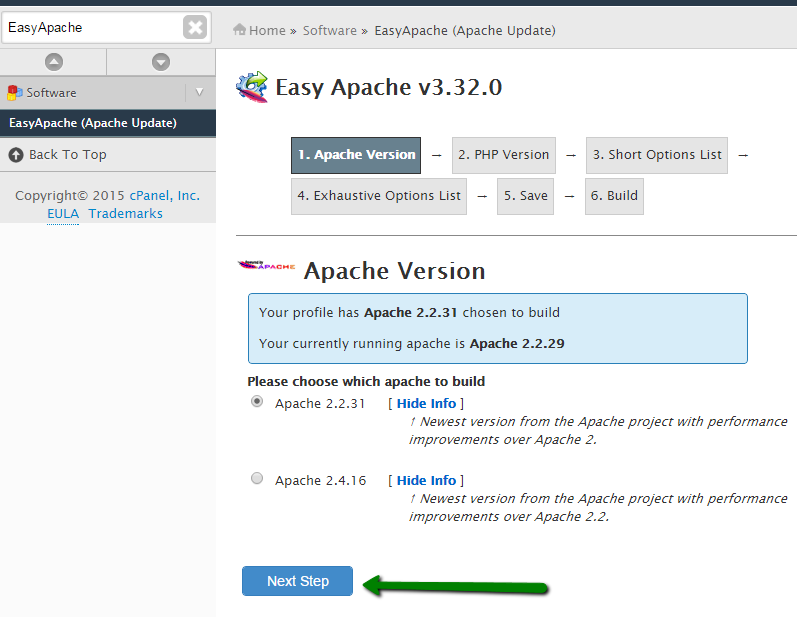 You can also check official cPanel custom modules tutorials for EasyApache quick installation.